With so many big reveals at the Geneva Motor Show, it's a shame the Range Rover Velar has been overlooked. While the McLaren 720S, RUF CTR and Techrules Ren arguably stole the show this year, the new Land Rover Range Rover Velar was one of the star SUVs to debut at this year’s Geneva Motor Show. Positioned between the Evoque and Range Rover Sport, the Velar is a mid-sized Range Rover in the line-up – and after seeing it in the flesh, it’s safe to say we’re smitten with this SUV. 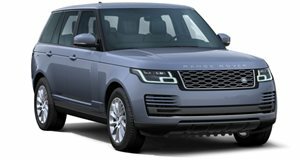 Larger than the Evoque and smaller than the Range Rover Sport, this is easily the most elegant and refined Range Rover yet. Its proportions aren’t too different to the Jaguar F-Pace, and its sleek design also hints at the next generation of Land Rover vehicles – not that we would complain. While the Velar is undeniably pretty, don’t make the mistake of thinking it’s dainty - this is still a Range Rover, so it isn’t afraid to get its wheels dirty. Land Rover’s Terrain Response 2, Hill Descent Control and All Terrain Progress Control make the Velar a very capable off-roader, while optional air suspension ensures that you’ll be traveling in crisp comfort on the road. It’s the interior that truly dazzles. Inside, the new Touch Pro Duo dual touchscreen infotainment system dominates, with two 10-inch touch screens allowing occupants to move content between each screen. “This cutting-edge, consumer technology developed by Jaguar Land Rover provides an intuitive interface with unrivaled performance and functionality,” says Nick Rogers, Director, Group Engineering, at Jaguar Land Rover. But despite being loaded with technology, the interior is inviting and pleasingly understated, with a clean dashboard and a glass roof. Powering the Velar is a 180 horsepower 2.0-liter turbodiesel four-cylinder engine. With 317 lb-ft of torque to play with, it should make light work of tackling tricky terrain. Of course, that’s just the base model. Opt for the next model up, and you’ll get 247 horsepower from a 2.0-liter turbocharged gasoline engine, enabling the SUV to sprint from 0-60 mph in 6.4 seconds. If that’s not enough power, Land Rover is also offering a supercharged 3.0-liter V6 gas engine that makes 380 horsepower. 0-60 mph takes just 5.3 seconds before it reaches a top speed of 155 mph. All three models are mated to an eight-speed automatic transmission sending power to the four wheels. The base model starts at $49,900, while the top-trim V6 will set you back $77,100. In the meantime, you can swoon over the new Range Rover Velar in our photos taken directly from the Geneva show.